UConn defensive back Ryan Carroll, left, was one of the five players on defense making their first career starts on Saturday. 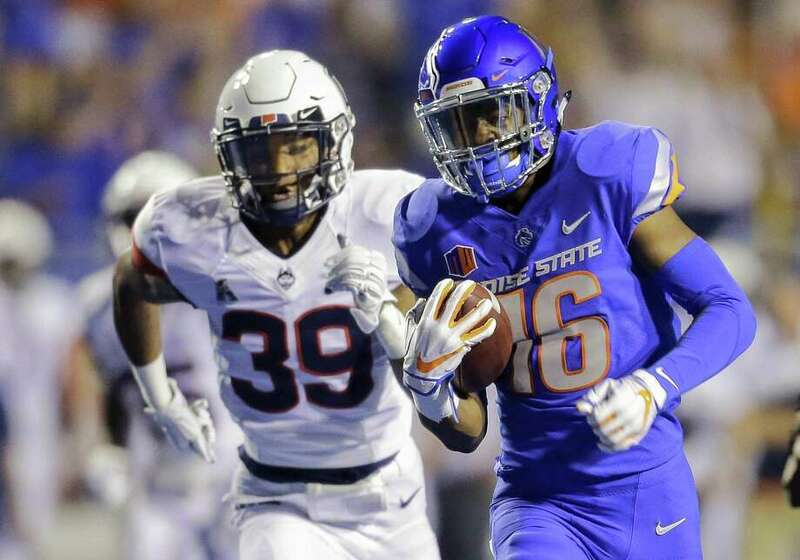 Here are some thoughts on UConn’s 62-7 loss to Boise State on Saturday night. Running uphill: UConn gained 46 yards on its first 11 first-down plays. Factor in false starts before the first snap on four of the first five drives, and UConn’s offense never gave itself a chance to succeed. In with the new: Since transitioning to the FBS level, UConn had never started five true freshmen in the same game. Five members of the defense — linemen Travis Jones, Jonathan Pace and Lwal Uguak, linebacker Kevon Jones, and cornerback Ryan Carroll — made their first career starts. Giving up a program record 818 yards with at least 400 yards both rushing and passing is a pretty good indication of how things went. Win at the point of attack: Although UConn did manage two more tackles for loss than in the season opener, the Huskies were simply manhandled at the line of scrimmage. Starting an all freshmen defensive line, that could be forgiven. But on offense, the Huskies returned four starters and Saturday’s home game against Rhode Island will be a chance for the line to prove that they are much better than how they played against Boise. Getting his kicks: If there was a UConn MVP in the game, it had to be punter Luke Magliozzi. 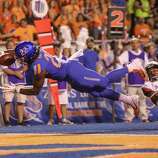 The redshirt freshman had four punts of at least 50 yards and six of his nine punts resulted in no return yardage for Boise. Lucien’s debut: True freshmen Keyshawn Paul and Ryan Carroll started at cornerback in the first two games. Could it be classmate Roland Lucien’s turn on Saturday? The former Choate star, who just recently returned to practice after missing much of camp with a shoulder injury, saw plenty of action in the second half.